Opt for a brown plaid wool blazer and riviera spencer glen plaid dress pants from Sierra Trading Post for a classic and refined silhouette. 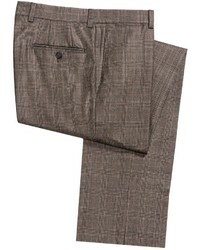 For a nothing less than incredibly stylish getup, try pairing a dark brown wool blazer with brown plaid wool dress pants. To add elegance to your ensemble, complement with tobacco leather oxford shoes. Contrary to what you might believe, ensembleing on-trend doesn't take that much time. 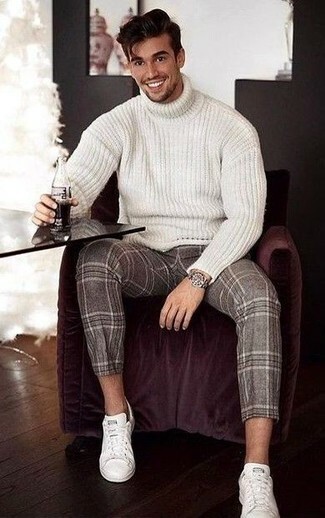 Just consider pairing a white knit wool turtleneck with brown plaid wool dress pants and you'll look awesome. White leather low top sneakers will add a more relaxed feel to your outfit. Tap into refined, elegant style with a brown plaid wool blazer and riviera spencer glen plaid dress pants from Sierra Trading Post. Bump up the cool of your ensemble by completing it with tan leather oxford shoes. 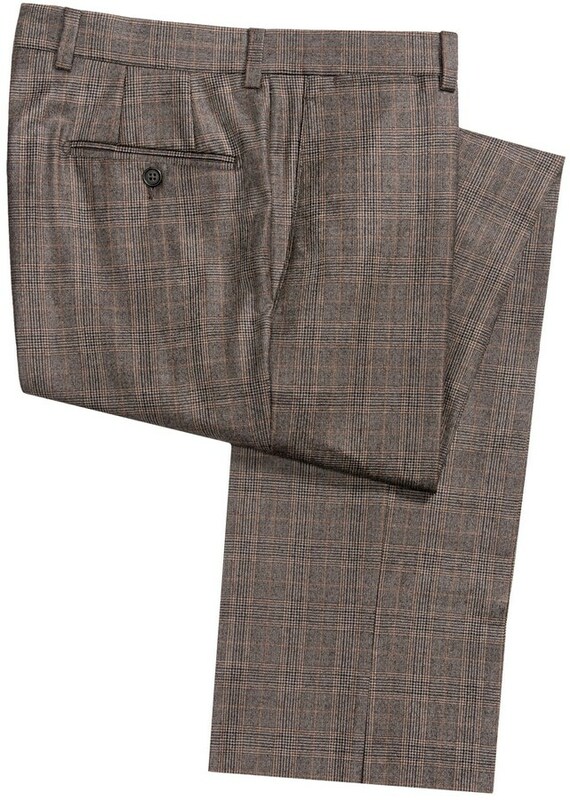 Pair a dark brown overcoat with riviera spencer glen plaid dress pants from Sierra Trading Post for incredibly stylish attire. 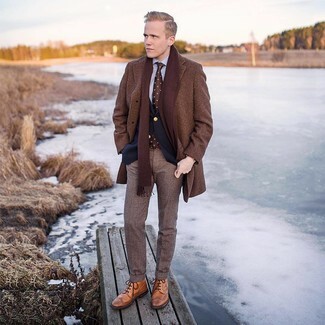 Brown leather brogues will add a more relaxed feel to your look. 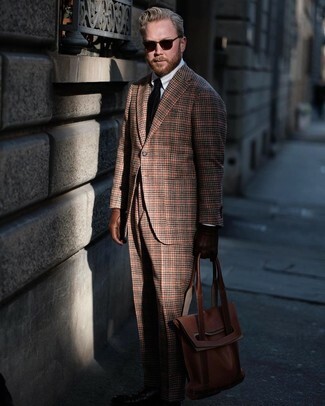 For a nothing less than incredibly stylish getup, choose a brown overcoat and riviera spencer glen plaid dress pants from Sierra Trading Post. 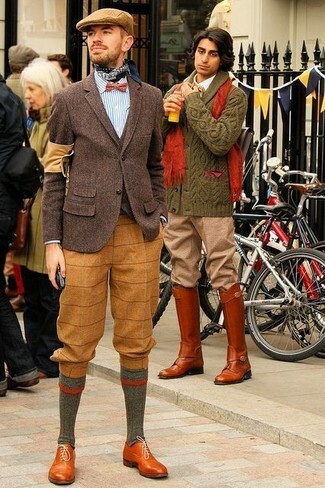 For something more on the daring side to complete this getup, opt for a pair of tan leather brogue boots. 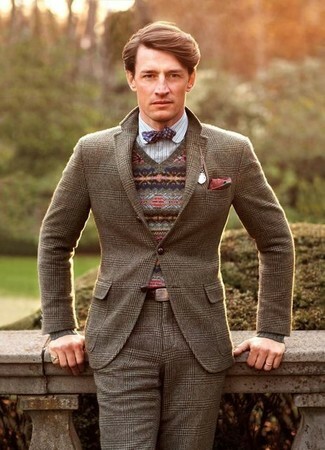 Marry a brown plaid wool blazer with brown plaid wool dress pants for incredibly stylish attire.